A cosy cottage in the heart of the town, just a short walk to the beach, shops, bars and restaurants. This popular resort town offers a varied selection of holiday facilities for all interests and ages. Children are especially well catered for with mini fun-fair, amusements, bowling alley, Canoe Lake and much more, all spanning Ryde seafront. The wide, sandy beach stretches approximately one mile to the popular Appley beach from where you can walk along the revetment to sailing village of Seaview. The bowling alley and the town centre is packed with all types of bars, pubs, restaurants and cafes. Ryde is the second major town on the Island and an important arrival and embarkation point for foot passengers. Ryde Pier (the fourth longest pier in Britain, at 703m/2305ft) is a prominent landmark with its passenger ferry terminal, railway and bus station. The Hovercraft that speeds foot passengers between Southsea and Ryde has its terminal located adjacent to the station. All are within a few minutes' walk of the cottage, so ideal for those visiting without a car. On the outskirts of town next to the large Tesco supermarket is Wight Karting offering exciting go-karting for adults and children. 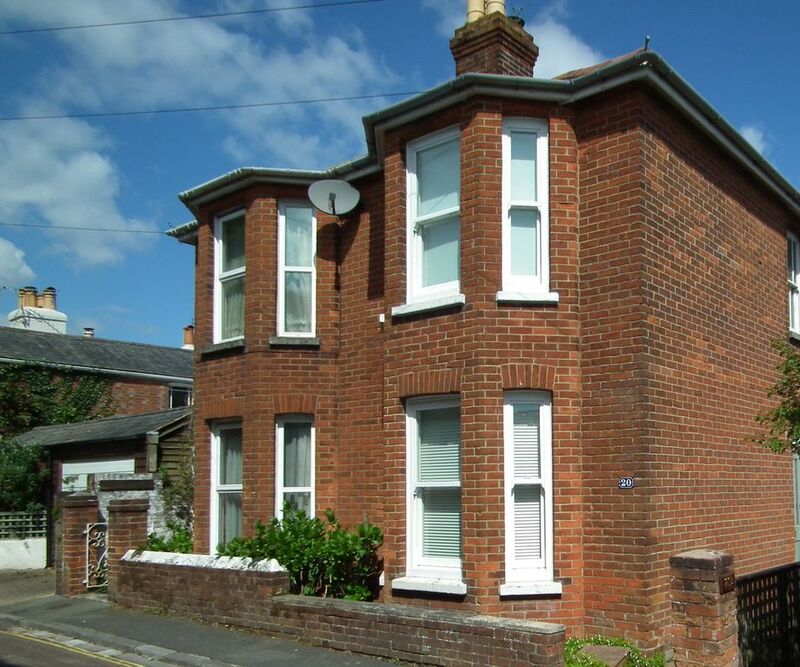 Sleeps 3 in 2 bedrooms A cosy cottage in the heart of the town, just a short walk to the beach, shops, bars and restaurants. This popular resort town offers a varied selection of holiday facilities for all interests and ages. Children are especially well catered for with mini fun-fair, amusements, bowling alley, Canoe Lake and much more, all spanning Ryde seafront. Neat, central, quiet, cozy cottage in Ryde. Highly recommended. Lovely quiet cozy cottage close to bus stop, ferry, beach and shops. It is fully equipped and tastefully decorated. An absolute win and I would highly recommend it to any one wanting to stay in Ryde. Arreton has a feast of attractions including The Barns and Craft Village, Arreton Manor and Amazon World. Nearby is the popular Robin Hill Adventure Park with exciting rides and a 400m toboggan run. This is a really fun day out for all the family. Nearer the coast is the historic and fascinating Bembridge Windmill. The Havenstreet Steam Railway offers rides on steam locomotives that serenely puff their way through scenic countryside. Hiring bikes is easy and the Island is a place of destination for keen cyclists. There are also a few riding stables to choose from around the island from where you can either hack through countryside or along beaches. Photographers and walkers won't be disappointed and historians are also indulged with our castles and roman villas. Sailing, fishing and wonderful places to walk dogs and fly kites, there's something for everyone. There are some great pubs, beach bars and restaurants in this area of the Island. Bembridge has the Pilot Boat, close to the sea serving excellent food with a great atmosphere, on the Duver at St Helens there is Baywatch, a beach restaurant serving good food by the sea. The trendy bars and restaurants are found mostly in Ryde, but all over the Island they enjoy serving up the local produce.